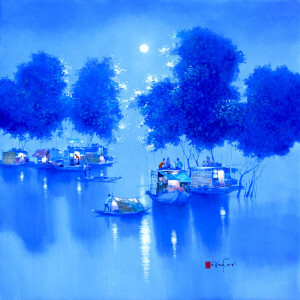 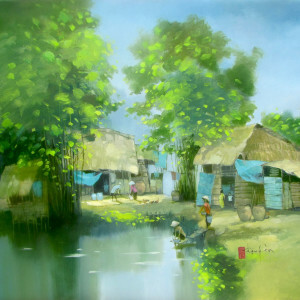 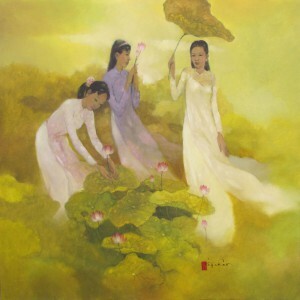 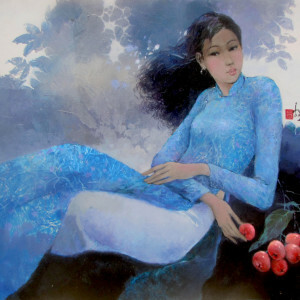 This is an amazing composition by contemporary Asian artist Dang Can on the life of common people living around the Mekong delta. 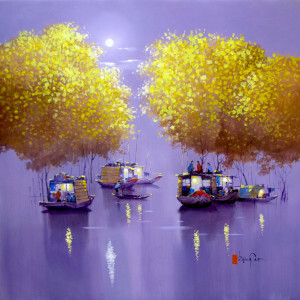 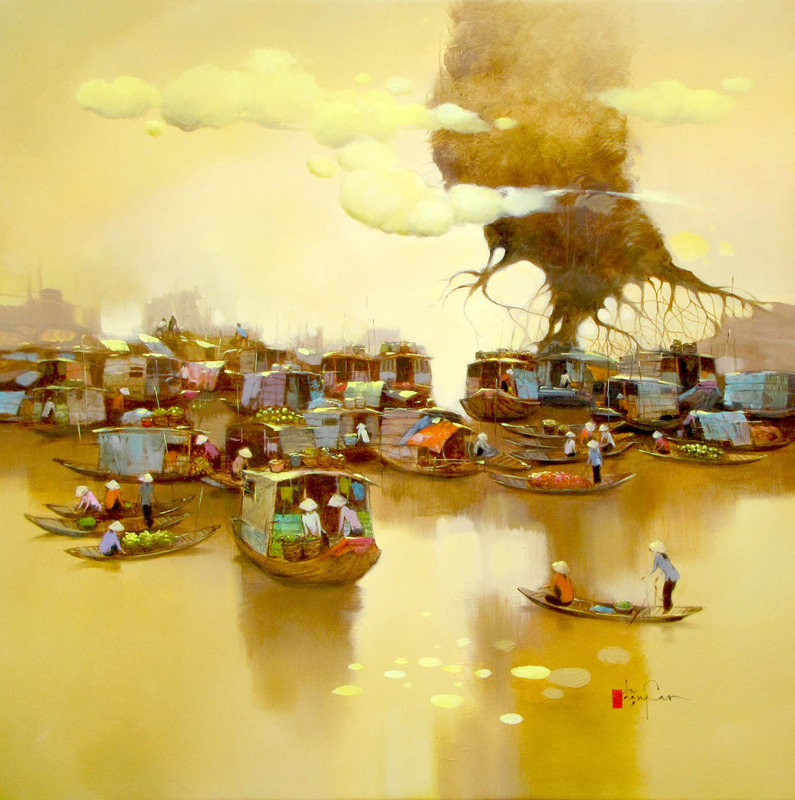 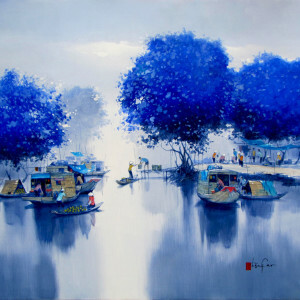 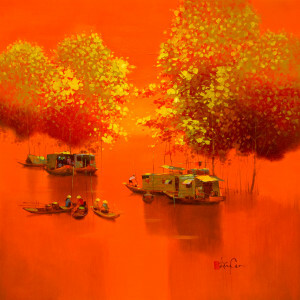 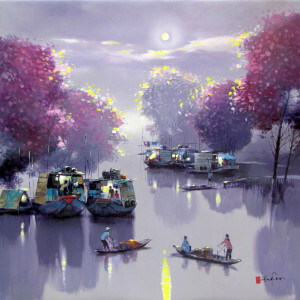 His artistic eye lifts the common floating market into something of the other realm when he juxtaposes it with the floating clouds above and the tree whose roots are visible as if ready to fly off. 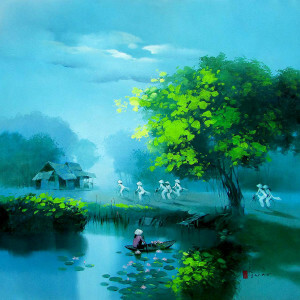 The yellow wash imparts a dream like quality.